Halong Phoenix Cruise is proud to partner with you throughout the journey to discover the world natural heritage Halong Bay. With the modern equipment of international standard with 3 star with a professional staff of enthusiasm is sure to bring you comfortable feeling like you are in the main in their homes. 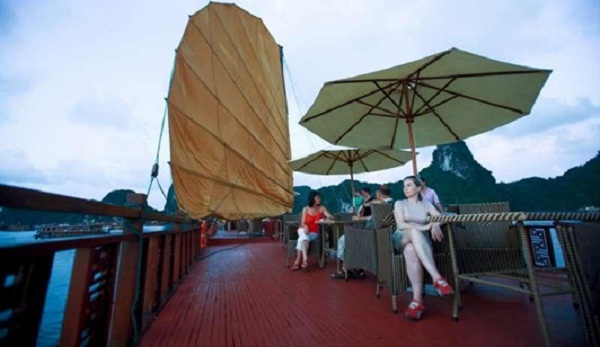 Halong Phoenix Cruiser yacht was launched in early 2009, consists of 16 cabins. All cabins on the cruise are equipped with full amenities and spacious windows help visitors enjoy the scenic vistas of Halong Bay in your room. As one of the pioneering service providers, we have established long term relationships with suppliers, partners reputation. Therefore not only ensures competitive prices but also to meet service standards. You make sure to meet the needs for our benefit to customers is important, but besides that we also contribute to responsible environmental protection along Halong Bay. To Halong Bay is forever worthy of the world’s natural heritage and towards voted as one of the natural wonders of the new world. 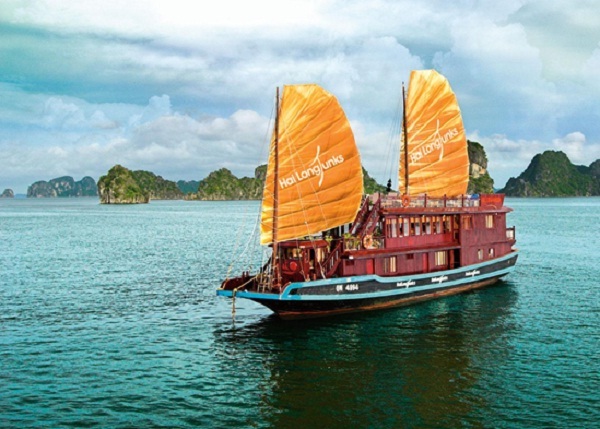 Renowned as one of the largest ship operators and most prestigious in Halong Bay, Hai Long brings visitors exciting journey to discover Halong Bay – New World Natural Heritage. We are proud to have 21 vessels including 08 class luxury cruise overnight to visit Halong Bay, 6-14 cabin for 2 or 3 days program, 13 boats with elegant design, modern interior, refined and safe can accommodate a lot of passengers/day for the trip. Hai Long Suite honored to bring you a great experience in the journey to discover Culture-man island marine natural World Heritage Site in Halong Bay. Overcome geographical barriers and cultural treasures of the vast sky with a staff of dedicated service, a space on the luxury yacht, extremely elegant warm always reminds your fresh ideas, romantic blend of nature, comfort of their own home. 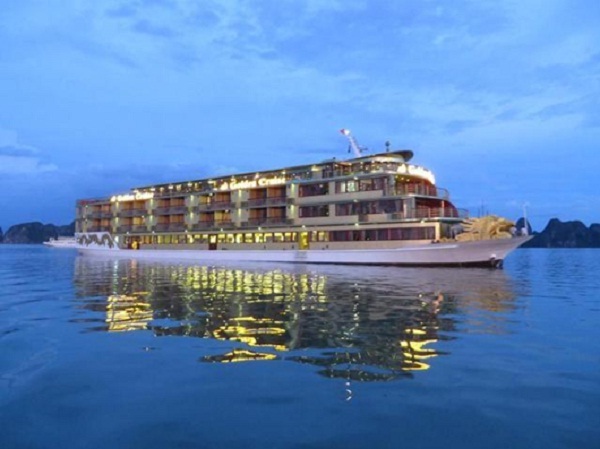 Sineria Cruise is designed in the traditional style of Vietnam in collaboration with modernized Western style. Sineria is representing level of service standard, luxury and comfort. Syrena was launched in Autumn 2010. The Sineria yacht includes two large yachts with a total 34 cabins are equipped with luxurious interior which can accommodate 68 passengers, serve tourists visiting the Gulf. In addition, Sineria also provides diverse services, such as: workshops, weddings, activities building team spirit of enterprise. The cheapest way to enjoy all the experience on those amazing boat above is to contact with travel agencies. Your wallet can be saved up to 50%, compared to directly booked.